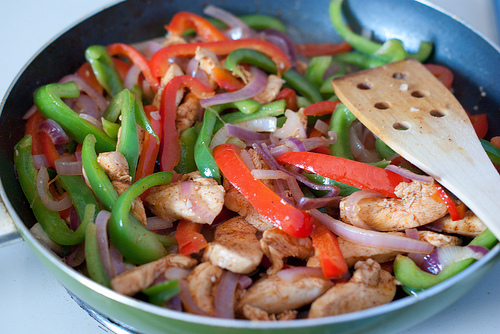 Love fajitas! These look awesome. Thanks for linking up to Hunk of Meat Monday! Fajitas are always a hit in my home. Especially now that I can get a hold of organic corn tortillas pretty easily. 🙂 Thanks for the share at this week’s Sugar Free Sunday! Do you have recipes for MSG free, or foods without those flavor enhancers? Help! It is so hard to purchase foods that are free of those things. Also, do you have any recipes for acid reduced pasta sauces or even homemade seasoning mixes to make yourself? Your site is great. Thanks.